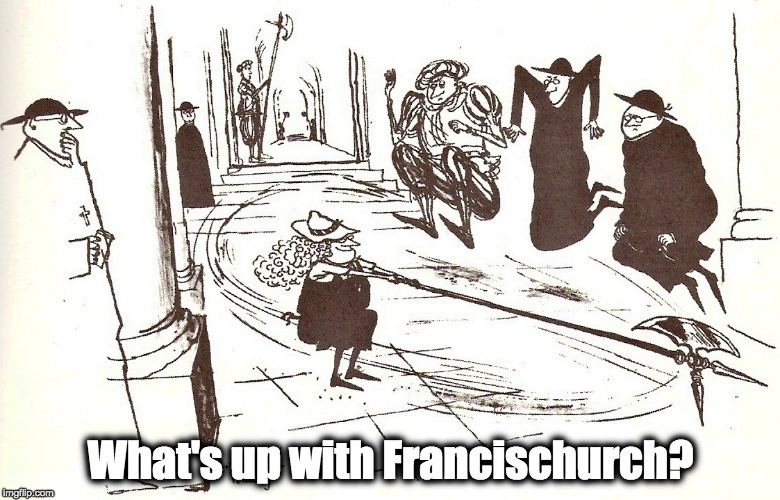 Just in case you were wondering… – What's Up With Francis-Church? The “practical agreement” was, in effect, a promise to keep their mouths shut about the doctrinal aberrances that were being actively promulgated by popes and hierarchies around the world since 1965, in return for the “permission” to continue with the traditional liturgical rites. This was the deal taken by the FSSP and later the ICK and any priestly group that was being overseen by Ecclesia Dei. And that’s why you meet a lot of FSSP priests who love them some fancy smells n’ bells liturgy, but who are in no other respect “traditionalists”.